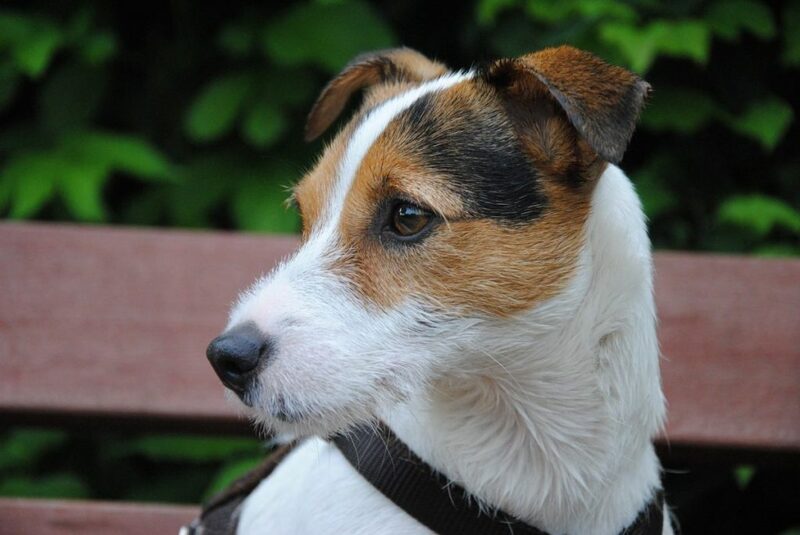 Home Blog General What Triggers Seizures in Dogs? What Triggers Seizures in Dogs? Dog seizures are scary not just for the dog that’s actually experiencing the seizure, but also for you, the owner. This is especially true if you witness your dog having a seizure, which is one of the most frightening experiences you can have as a pet owner. Much of this fear comes from the unknown. Things that might run through your mind include: Why is my dog having a seizure? Is my dog going to be okay? And what is making my dog have this seizure? Dog seizures are caused by many differing reasons. Most commonly, dog seizures are caused by idiopathic epilepsy, which is typically inherited, but the cause is usually unknown. Other common causes of seizures include eating poison, liver disease, low or high blood sugar, kidney disease, electrolyte problems, Anemia, head injury, Encephalitis, strokes and brain cancer. Seizures commonly occur when the canine’s brain has a change in activity, which can occur through stimulation from the environment, things around the house, foods, medications and of course, stress. Affected dogs can appear to be completely normal between seizures, so one question that is typically on every pet owner’s mind is: What triggers a dog seizure? While seizures seem to occur spontaneously, many factors have been identified as possible dog seizure triggers. 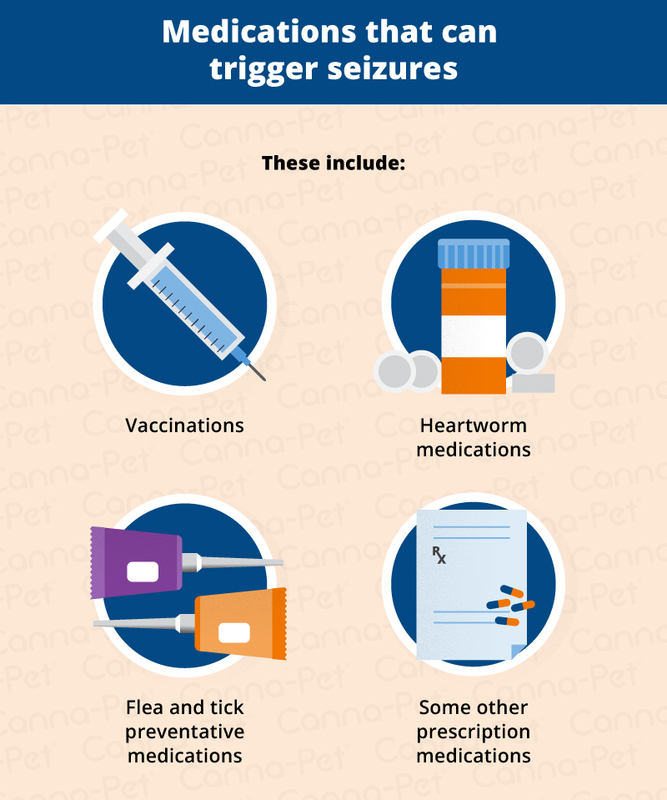 But naturally, the answer (like with most canine medical conditions) is never simple, there are plenty of causes that may potentially trigger a seizure which are outlined below. However, one question that is typically on every pet owner’s mind is: What triggers a dog seizure? While seizures seem to occur spontaneously, many factors have been identified as possible dog seizure triggers. But naturally, the answer (like with most canine medical conditions) is never simple, there are plenty of causes that may potentially trigger a seizure, including environment, things around the house, foods, medications and of course, stress. What is a trigger of dog seizures? Simply put, a trigger is the source of your dog’s seizure. It is the factor, inside or outside of the dog’s body, that causes a seizure to occur. The trigger can often be difficult to identify, but in order for something to qualify as a trigger, it has to have happened within 30 hours of your dog’s seizure. The only exception to this is vaccinations, which can trigger a seizure up to 45 days after administration. 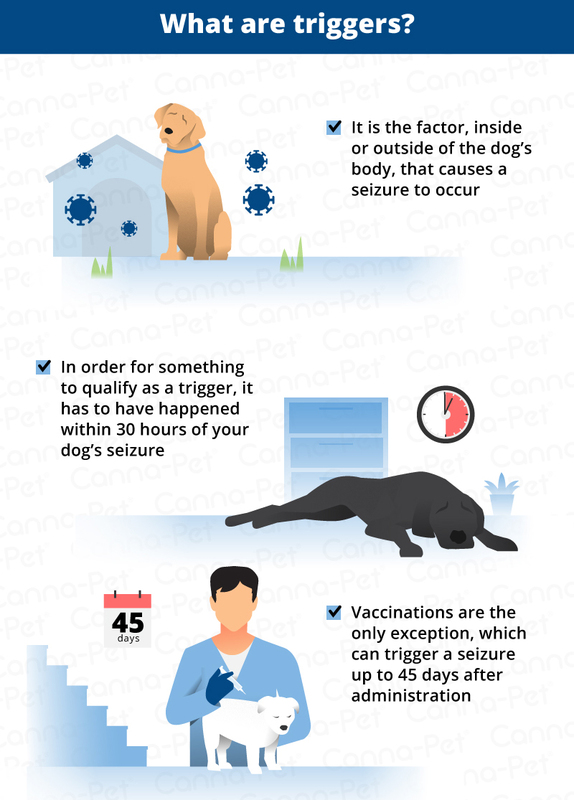 In an effort to reduce the chances of your dog having a seizure, you can try to avoid the things mentioned below. Your dog’s environment can play a large role in developing seizures. While a dog’s environment involves your home as well, this section will focus on the potential environmental triggers your dog may encounter outside. Dogs love to be outside. From walks to the dog park, to just sitting out in the backyard, the outdoors will be a big part of your dog’s life. Unfortunately, there are many things found outdoors that can potentially trigger a seizure in dogs. Think about your own yard and garden and neighborhood. You and your neighbors may use lawn treatments and fertilizers to get that plush, green lawn of your dreams. And while they might be great for your yard, these chemicals can be harmful to your dog, and can even trigger a seizure. Herbicides and insecticides are other chemicals often used around the yard that can be potential triggers of seizures in dogs. Other things found in the yard, such as cedar shavings, can also be harmful to your dog. In addition, many flowers and plants are poisonous to dogs, which can also cause a seizure. The ASPCA has provided a list of plants that are toxic to dogs. What you can do: For your own home, try to only use lawn and yard products that are animal friendly, to ensure that you don’t trigger your own dog’s seizure with these potentially harmful products. There are plenty of yard and garden treatment products that are dog-friendly, and it should be easy to find on the label. Take a look at the list of toxic plants and make sure you don’t have any in your yard. 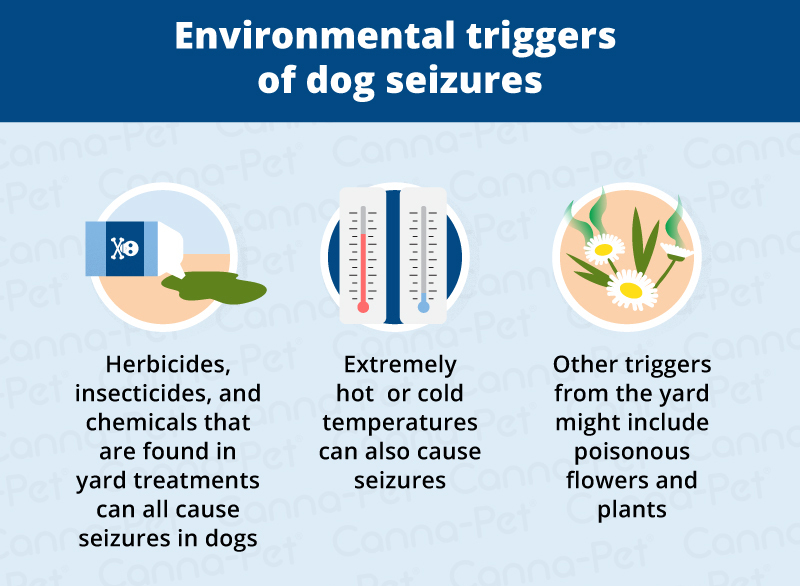 Eliminating these harmful products and plants can remove one potential trigger of seizures in dogs from your dog’s environment. A couple of other environmental factors that can trigger seizures will be less in your control, but you can try to avoid them nonetheless. Barometric pressure changes and extreme heat or cold are thought to be potential triggers. Other potential environmental triggers include bee and wasp venom and toad poisoning. It’s easy enough to say “avoid bees and toads” but not realistic, so just be aware if you see them and try to remove your dog from a potentially bad situation. Your dog’s environment involves more than just what’s outside — it also includes your home. Dogs, like humans, are both physically and emotionally sensitive creatures. Something like photosensitivity can trigger a seizure in dogs just like it can in humans. Photosensitivity refers to flashing or bright lights. 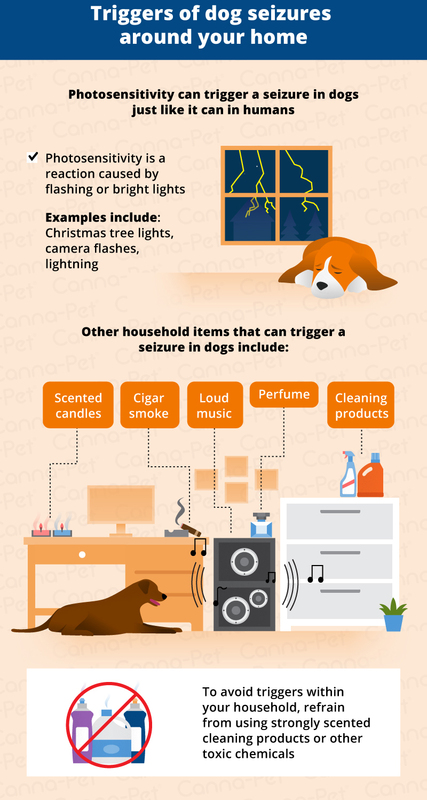 Other factors considered household items that can potentially trigger seizures in dogs include scented candles, perfume, loud music, and cigarette smoke. Popular household products are also potential triggers. These include Pine Sol or any other cleaners with pine oil, kerosene, camphor, eucalyptus, borax or boric acid, deck and wall stains, polyurethane fumes, paint fumes and Swiffer chemicals. What you can do: Since none of the items listed above are absolutely necessary to maintaining a home, you can choose to eliminate them entirely from your dog’s environment. Otherwise, try and keep them to a minimum, or remove the dog from the area when you use one of the harmful products or items. Try not to use any products with strong aromas around your dog and don’t do home projects with your dog nearby. Dogs are curious creatures and are bound to get into whatever it is that you are working on or working with. Pine, in particular, can be quite toxic to dogs and can cause seizures, so be sure not to use pine scented or infused cleaners. Also, if you get a real tree, come Christmas time, don’t let your dog drink the water out of the bottom of the tree. It takes a little extra effort but can be well worth it if it helps prevent your dog from having a seizure. The trigger of your dog’s seizures can also boil down to something as everyday as his diet. What your dog eats can absolutely be a potential trigger of a seizure. For instance, having a diet too high in sodium can lead to salt toxicity, which can cause seizures and pancreatitis. This is especially true for dogs that take potassium bromide as an anticonvulsant. 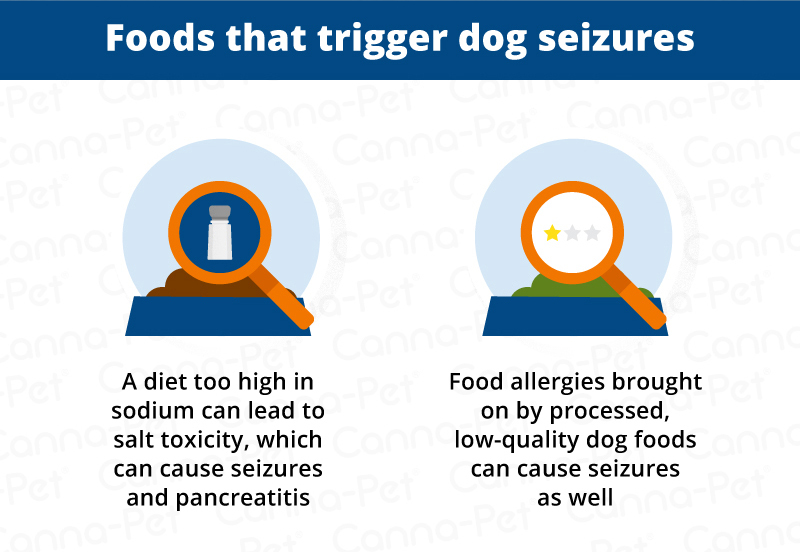 Food allergies are also common triggers of seizures in dogs, brought on by processed, low grade dog foods. The chemicals, preservatives, and emulsifiers contained in some of these foods can be harmful to your dog. There are also particular foods and herbs that can potentially trigger a seizure. Fruits, including tomatoes and carrots, can actually trigger a seizure in some dogs. Certain dairy products, like cheese (particularly if it is moldy), cottage cheese and milk are also danger foods. 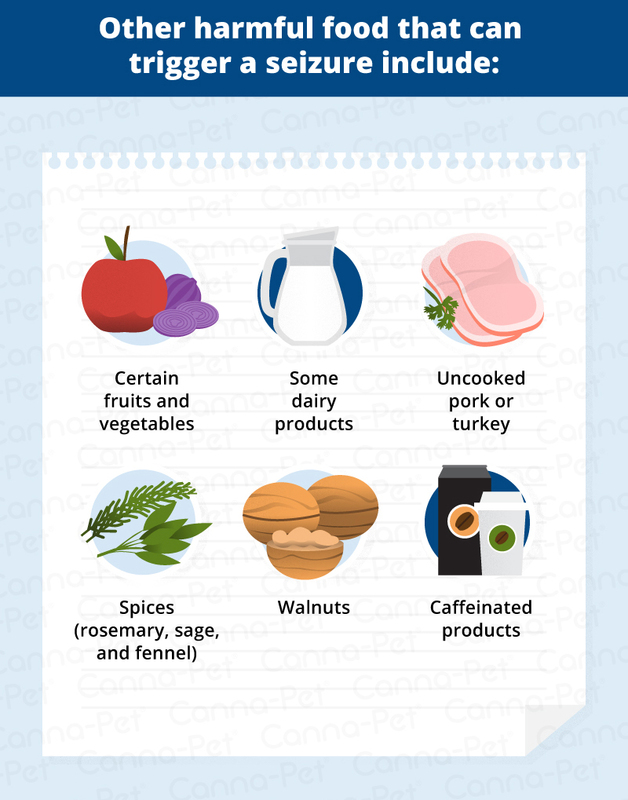 Unclean or uncooked pork products can be problematic as well as turkey. These can each be found in tainted pet food. Certain spices, such as rosemary, sage, fennel and saffron can also be potential seizure triggers. Walnuts are generally thought of as harmful to dogs, and caffeine can also be a trigger. Foods or treats with ethoxyquin, BHA or BHT of foods with MSG can also be potential triggers. MSG is often referred to in food products as “natural flavoring” or “smoke flavoring,” etc. Even dog products like uncleansed rawhide treats and pig’s ear or feet can potentially cause a seizure to occur. Several commercially produced dog chews are bleached. Flavored chews will often have some of the chemical additives listed above. What you can do: Since you control your dog’s diet, you can make sure you aren’t feeding your dog any of these potentially harmful foods. Pay attention to the labels of all of your dog foods and treats and make sure they don’t contain anything you see above. And make sure you don’t feed your dog anything you wouldn’t eat yourself, or any dog food beyond its expiration date. Believe it or not, a dog’s medications can sometimes trigger seizures as well. These include vaccinations, heartworm medications, flea and tick preventative medications and some other prescription medications. If your dog has a seizure shortly after beginning a new medication, you should make note of this when you see your veterinarian. 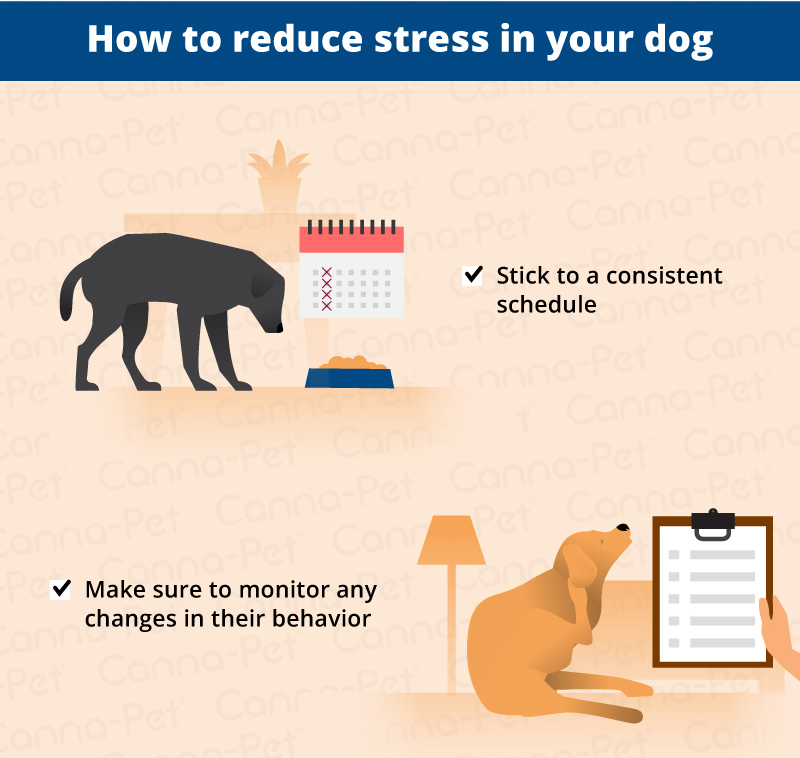 Just like you would for yourself, you should always help your dog to avoid stress, as stress can also be a trigger of seizures in dogs. Stress is actually the number one cause of seizures in humans, but less prevalent in dogs. However, there are several factors that can cause your dog physical and emotional stress or anxiety. The physical stress factors that trigger seizures in dogs are very similar to those seen in humans. A big one is fatigue. Like humans, dogs often have seizures in the morning or at night, when their body is changing from its sleep/wake cycle. As mentioned previously, dogs a very photosensitive, so camera flashes, the lights of a television, Christmas lights, or even lightning can trigger a seizure. 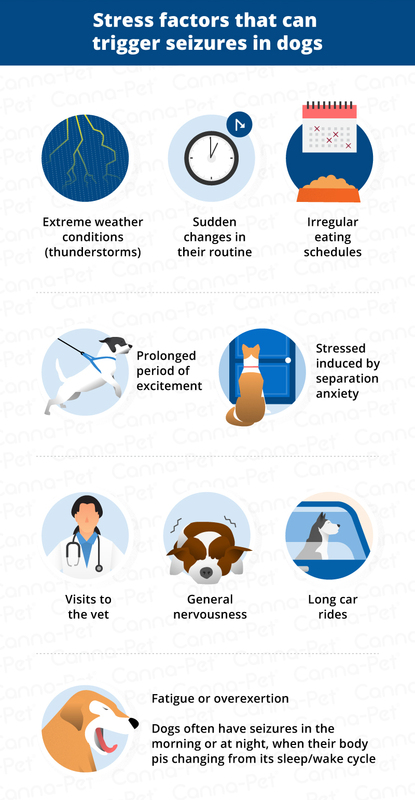 Also listed above, changes in barometric pressure and extreme hot or cold weather can also cause your dog to become physically stressed, which can in turn trigger a seizure. Thunderstorms also can spook a dog enough to be a trigger. Sudden changes to your dog’s diet or routine can also cause stress that may trigger a seizure. Dogs run on a very strict internal clock, and know when it is time to eat or go outside or when you get home from work. Changes in their routine can be caused by visiting friends or family members, a new baby joining the family, construction around the home and more. Missing, skipping, or going too long in between meals can also cause low blood sugar, which can be a trigger of seizures as well. You’ve probably heard of separation anxiety and laughed it off as loyalty and an adorable dependence upon your as their owner. However, it’s a real thing! And in some cases can be a real problem. Being left alone for too long can cause a dog a great deal of stress and can trigger a seizure. On the flip side, a prolonged period of activity and excitement can also trigger a seizure. If your dog has a long day of playing with a lot of dogs or other people, it can often be too much for it to handle, and it may have a seizure. Another stress trigger to avoid is loud arguments or angry voices. When people fight around a dog, the dog will often think that the people are angry at them. This is actually the worst kind of stress for a dog. Other causes of emotional stress to dogs include long car rides, visits to your vet, general nervousness, and anxiety. What you can do: Help your dog avoid these stressful situations by first sticking to your dog’s routine. This is the best way to keep your dog on an even keel. If you are going to change his diet, introduce the new food slowly rather than a complete, abrupt switch. Also monitor their play time and don’t let them get out of hand. If your dog does have a seizure, keep a journal of the potential triggers and bring it with you when you go to see your veterinarian. Identifying the cause is the key to any treatment for seizures, so your paying attention can be your dog’s saving grace. Because of the unpredictable nature of seizures, you can never guarantee that your dog won’t ever have a seizure again. But avoiding these potential triggers can reduce your dog’s chances. If nothing else, these are all safe and healthy things you can do for your dog. “Seizures in Dogs: Causes, Symptoms, & What to Do.” WebMD, Accessed 7 April 2017. www.pets.webmd.com/dogs/dog-seizure-disorders. “What Causes Seizures In Dogs?” TheSprucePets, Accessed 7 April 2017. www.thesprucepets.com/what-causes-seizures-in-dogs-3384662. “Epilepsy: A Cause of Seizures in Dogs.” PetCoach, Accessed 7 April 2017. www.petcoach.co/article/epilepsy-a-cause-of-seizures-in-dogs/. “Vet Advice: Seizures in Dogs and Canine Epilepsy.” The Bark, 3 Feb. 2015, Accessed 7 April 2017. www.thebark.com/content/vet-advice-seizures-dogs-and-canine-epilepsy. Link, Tim. “Does Your Dog Experience Seizures?” Dogster, 26 May 2015, Accessed 7 April 2017. www.dogster.com/lifestyle/dog-health-facts-seizures.